The SHACK is BACK! 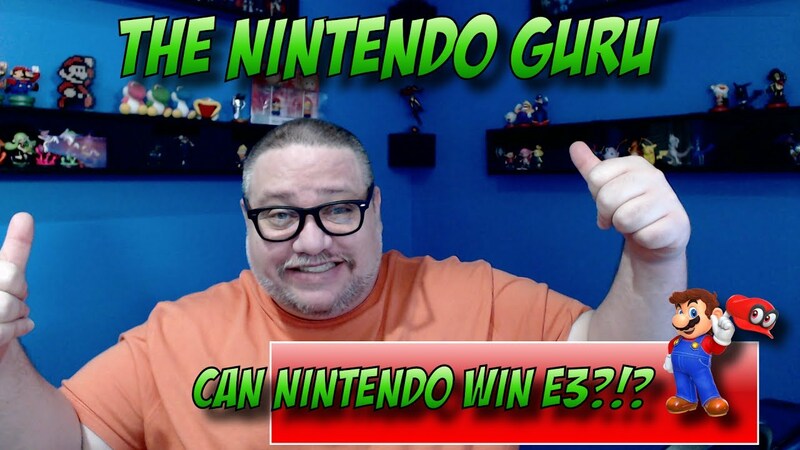 This week in the Nintendo Shack Bobby @NintendoGurus joins Caro & Donnie to break down all of the Nindie News from Gamescom, Nintendo's continued healthy sales success, what we hope to see from this Nindie Direct next week, but not before we have a mini-reflection on the Make Us Better Movement. This was not our best foot forward so apologies to anyone listening. It was either hit record like this or cancel the show. Kevin comes back to the Shack this week as he and Donnie discuss Nintendo vs. Rom hosts, State of Mind, Telltale's Final Season and Donnie's awful awful day. The Shack crew hits the road on our normal day of recording to go joing N64 Josh over on the Nintendo Power Cast, so please got check that out at @Npowercast. The SHAAAAAACK is back and this week.... ALL of us are back together! That's right, Jason Lacy has finally returned so you know, we had to hang out a little bit before breaking down the Smash Bros Direct and some Nintendo buzz. PSVG's Ninten-twins Caroline & Donnie stand up the shack to talk about Oxenfree on Nintendo Switch, first week back to school, Nintendo's current financials, the return to prominence for the NES classic, questions and more! PS WE <3 and miss you Fluxay enjoy that sweet sweet family time. Nintendo Shack and PSVG are eternally gratefull to our patrons at patreon.com/makeusbetter - THANK YOU! Nintendo Shack 40 - NEW LABO!!!!! Donnie and Caro convene Shack to discuss new Labo, vacations, becoming a Twitch streamer, Donkey Kong Rabbids, Octolings & Octopath, Virtual Boys, 3DS and Wii U and even some Switch games to keep an eye on in August. Yeah.... Shack is packed this episode. Something has gone crazy in the shack, this week Kevin has sabotaged both Donnie and Jason and taken over. He left a back window open too so Mr. Bad Bit himself climbed through to help with the invasion. Don't worry Caro is still here though. We discuss Octopath Traveler, Mario Kart Toys and DLC updates, and much much more! Nintendo Shack 38 - Octopath Eve! Donnie is MIA but have no fear, its dangerous to go alone so Caro and Jason are joined by N64 Josh to shack and discuss some of the latest news. Nintendo Shack 36 - A Labo-What?!! The SHAAACCK is BACK! This week in the Shack Donnie & Caroline discuss Labo X Mario Kart 8 News, Lions Song coming to Switch, what a GameCube classic would mean to us, Switch pro, what Donnie thinks of this generation and hardware in general and so much more!!! Truly a really great show, thank you so much for contributing and listening, it means everything to us. The SHAAAACCKK is finally back after a long week since E3! The normal trio of Donnie, Caroline & Jason return to discuss some rumors, Nintendo pairing up with Microsoft, Hollow Knight, Xenoblade, Squid Game DLC and more. In this final podcast before E3, Donnie and Caro continues to have the HYPE intensified as PSVG primes the engine to go all in this weekend @ E3. The SHACK is BACK and this week we're discussing our E3 predictions, a new E3 rumor/leak, brief Pokemon news and all about that HYLIAN 2DSXL! Oh yeah almost forgot, BOBBY'S BACK! Yep, the Nintendo Guru came over to SHACK with us tonight. This week The Shack is Back and discussing Hyrule Warriors, Runner 3, and third party games we want to see at E3! as well as some tales from Momocon and a custom intro from Coach Mo and Kevin. The Shack is Back and full of pre-E3 rumors and speculation! Join Donnie, Caroline, & Jason as they talk the newest Pokemon and Star Fox rumors as well as their excitement for this week's releases.... HYRULE WARRIORS!